Low cost affordable housing is produced by speeding up the construction process - This is exactly what moladi plastic formwork construction system is designed to do. 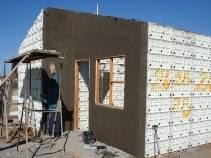 Instead of using bricks that are produced on a distant brick plant and transported to the construction site, the moladi walls are produced in a plastic lightweight reusable formwork system insitu in a day. This process speeds up the building of the wall, eliminating waste and rework. 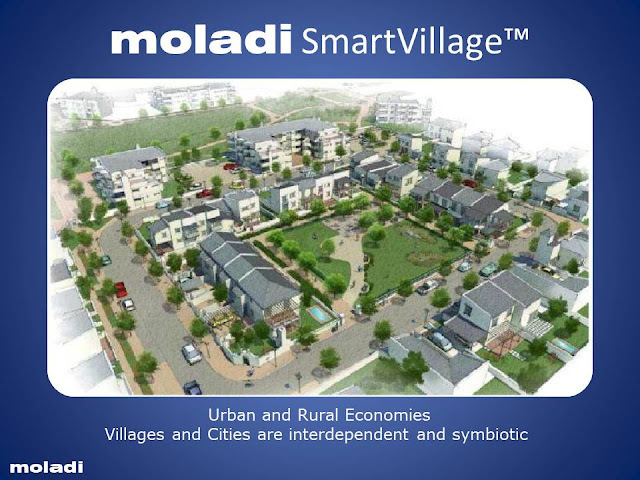 To construct a moladi wall no skilled artisan or bricklayers are required. This again reduces cost due to eliminating the variance of capacity of individual capability of the bricklayer. All the water and electrical piping is fixed onto the formwork prior to casting the mortar (Concrete without stone). This eliminates delays and having to chase the wall for the water and electric piping. The moladi wall contains steel reinforcing bars to prevent cracking and also to withstand wind loads (hurricanes) and earthquakes. 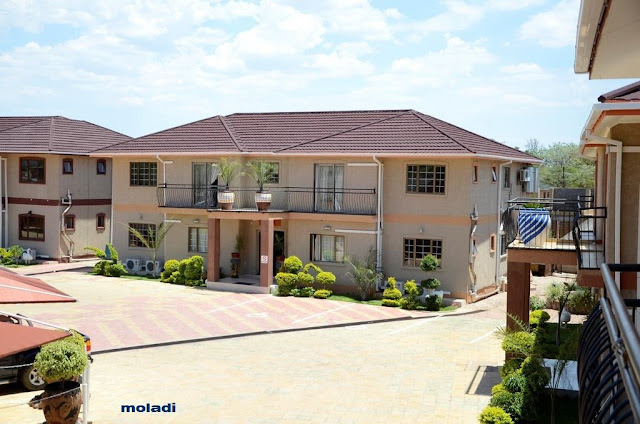 Therefore the moladi structure is superior to conventional brick and mortar masonry built walls. The window block-outs are positioned between the two layers of formwork to create the opening for a window to be inserted. This allows for any type of window frame to be accommodated in a moladi wall. The doorframes are also positioned between the moladi formwork prior to casting. Roof truss block-outs are positioned according to the roof truss configuration and eliminate having to beam fill after the roof has been erected. Roof ties are cast into the wall next to the block-outs and this secures to roof to the structure. Due to the material properties of the moladi plastic formwork, no shutter release oil is required to prevent the mortar from adhering to the formwork nor does the wall have to be plastered as the off-shutter finish of the wall is smooth. Eliminating the need of a plasterer and waste. 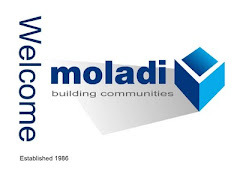 The plastic formwork is erected on a concrete raft foundation according to the specific design required and the manual supplied by moladi. This process simplifies the erection process and no skills are required to do this task. Local labour is hired to complete this task in a day. The mould is manually cast or pumped in two to three hours. The following day the formwork is removed and re-erected on the next foundation cast a week before to allow for sufficient curing. 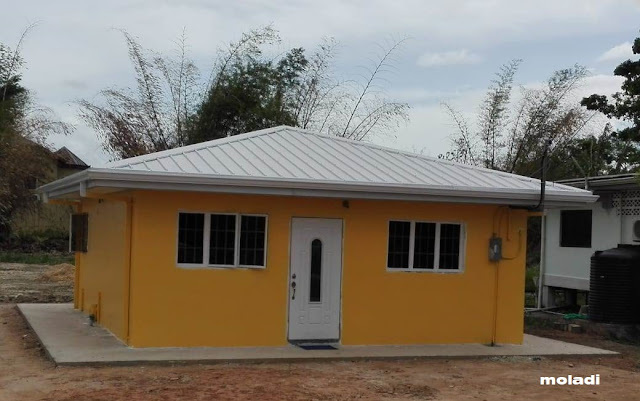 It all comes down to efficiency of producing a cost effective, socially acceptable wall for people (knock test), then fixing all the other components, like door, windows, roof, ceiling, bathroom fixtures etc., onto the "chassis" (the wall). So in reality, who can produce a wall on a stand the quickest, and millions of them? We simply use a cost per square meter of a wall (chassis) on a foundation (in position), ready for "assembly" as a yardstick of efficiency. This is method compares "Apples to Apples"?